It seems like there have been some leaks in several Nintendo eShops for Czech users. According to a post on Reddit, there is a list for Assassin's Creed 3 and the DLC for it, Liberation which is being bundled into one package. The bundle is being sold at €35 and is supposedly a remaster of the two titles which were released in 2012. Of all the Assassin's Creeds to come to the Switch why is the third one being chosen for a remake? The only other Assassin's Creed game on the Nintendo Switch to be released is Odyssey, which is the latest entry into the franchise. Assassin's Creed 3 and Liberation were released on the Wii U as well. So for Nintendo, it is easier for them to port a game which is already written and programmed on a Nintendo framework. 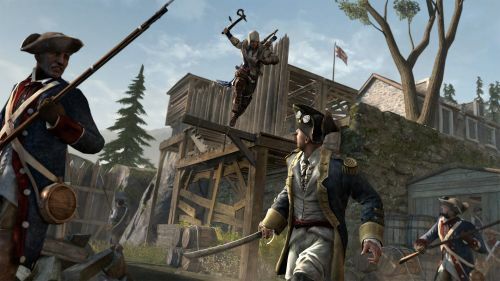 While Assassin's Creed 3 is not the best game of the franchise, it is still a ton of fun. The setting of the game is set in the colonial United States, a few years before Americans fought the British for Independence. In the game, you get to travel to major cities of the 1700s such as Boston, New York and Philadelphia. You also get to travel through the huge wilderness called the Frontier, which is the bigger part of the map. In the DLC Liberation, you play as a character in the French colony of New Orleans. There is no official announcement from Ubisoft to confirm whether this leak is true. We also have no idea if they will be remastering some of the other Assassin's Creed games to the Switch either. 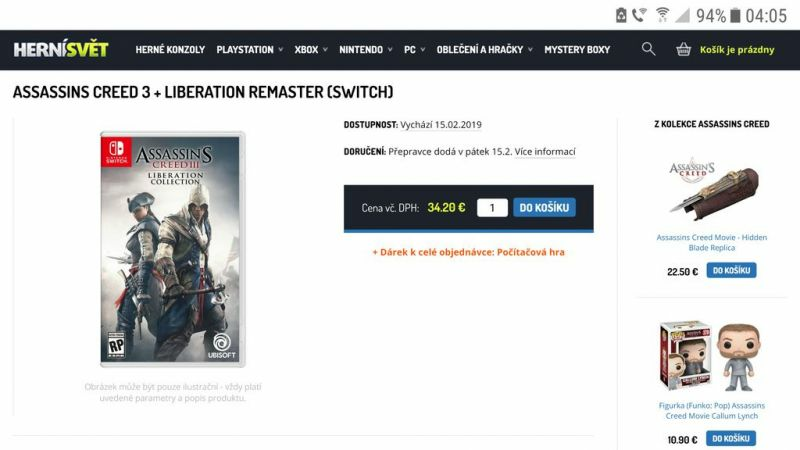 But it seems like, for the future of the Assassin's Creed series, the Switch will be an included console for releases, not just the PS4 or Xbox One.